Any connection between PPACA and international medical insurance? 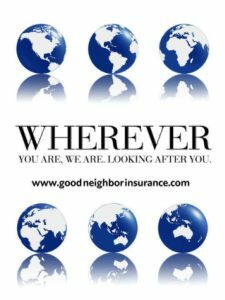 Good Neighbor Insurance (GNI), http://www.goodneighborinsurance.com/, provides international career and travel insurance medical benefits to our clients who are traveling for a few days outside the U.S. or residing outside the U.S. for a year or longer. Some of our career insurance plans, https://www.gninsurance.com/long-term-international-health-insurance/, are surplus lines that provide international medical insurance plans for those residing outside the U.S. These surplus line medical insurance plans that GNI provides covers the policy holder in the U.S. but not for longer than 12 months per visit/trip. One of the plans GNI provides to their clients who reside outside the U.S. is the GMMI plans which can be located here at http://www.healthinsuranceinternational.biz/gmmi.asp. Good Neighbor Insurance also provides international medical plans that have unlimited coverage in the U.S. These international medical plans, like the Global Citizen and Global Navigator here at http://www.overseashealthinsurance.com/global.asp, are international health insurance hybrid plans. They not only cover a policy holder who is residing outside the U.S. but also for those who will not be going back overseas and residing full time in the U.S. This allows for a seamless international insurance plan benefit for anyone who wants to keep their international insurance medical plan back in the U.S. and yet may need travel medical insurance when traveling outside the U.S. Thus, Good Neighbor Insurance brokerage firm provides a variety of benefits to fit our client’s specific needs. Below is more information on how the new PPACA (Patient Protection and Affordable Care Act) relates to international medical insurance. There are two major types of health care insurance plans for those who are U.S. citizens. 1. The first type of health insurance plans only follows U.S. federal laws. These medical insurance plans are primarily for those who are living outside the U.S., like you. These are plans usually called surplus lines or specialized insurance plans, https://www.gninsurance.com/long-term-international-health-insurance/. These types of medical plans are the ones we provide to our clients who primarily are residing outside the U.S. Also, surplus plans do not allow unlimited U.S. coverage hence why they are usually lower in premium. 2. Then there are the local U.S. domestic insurance plans, plans like HTH (HTH has long term international career plans that allow unlimited coverage in the U.S. http://www.overseashealthinsurance.com/global.asp, and Blue Cross Blue Shield at https://www.gninsurance.com/azhealthinsurance.asp, to name a couple). These plans must not only follow U.S. federal laws but also state laws. State laws have a lot more requirements / compliance for coverage for their residents. A couple examples are automatic coverage which will start in 2014 and coverage for all pre-existing medical conditions that will start also in 2014. These plans are higher in premium due to having to have stronger benefits and higher requirements. These U.S. domestic plans are for coverage in the U.S. and are not for those residing outside the U.S. The new health care laws that were passed in 2010 (PPACA) and also the HIPAA are federally mandated laws. However, these mandated laws are for those plans that have unlimited U.S. coverage for policy holders. Here is information provided by one our international insurance companies, http://www.healthinsuranceinternational.biz/ relating to the PPACA law and coverage outside the U.S.
3. The following is an explanation as to why the fully-insured plans administered by IMG are not subject to PPACA: The legislative intent of PPACA (PATIENT PROTECTION AND AFFORDABLE CARE ACT) is made clear in the substance of the law. The intent and substance of the law demonstrate that PPACA is intended to regulate access by U.S. Citizens and permanent legal residents (Green Card Holders) to health care and health insurance in the U.S. domestic market, where the health care is expressly intended to be utilized by Americans in the U.S.; i.e. domestic health plans and domestic health insurance. IMG administers no fully-insured plans that meet these criteria. Blog Home > International Travel Insurance > U.S. health insurance laws relating to International health insurance > 2013 - 2014 updates > Any connection between PPACA and international medical insurance?